"i booked a Family Package to Singapore with Grand India Tours & Travels on 23 August 2016 , it was awesome experience , Thanks for the Team." "I thank from the bottom of my heart to this company for helping us getting the most amazing deal for my travel need. I have contacted them a week ago and I got the best and lucrative deal which no other company was offering. 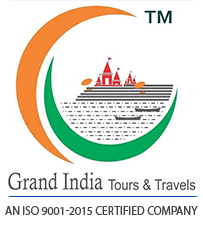 I must say, everyone should consider getting holiday packages from Grand India Tours & Travels."